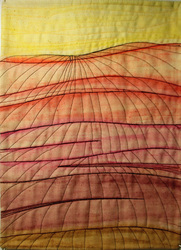 The challenge for 2012 was that the quilts had to be A4 portrait format. 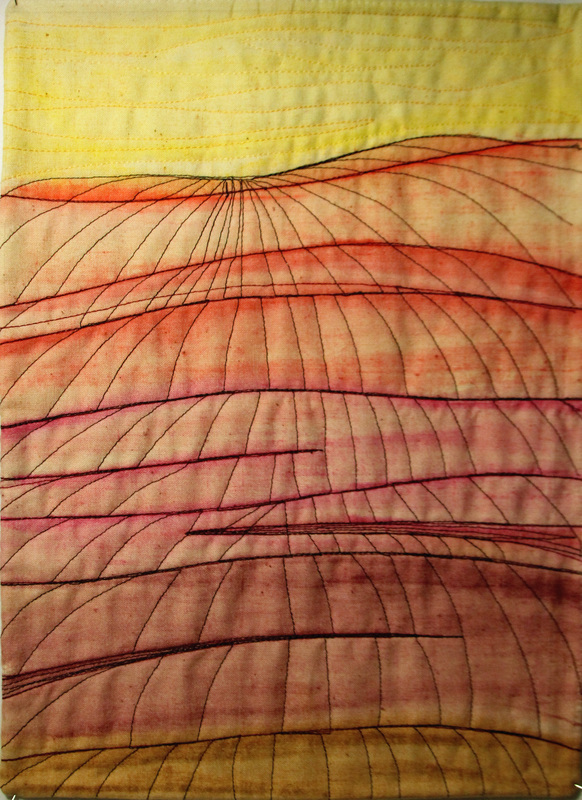 In addition, red was to be the dominant colour for the first four quilts, yellow for the next four and blue for the last set. 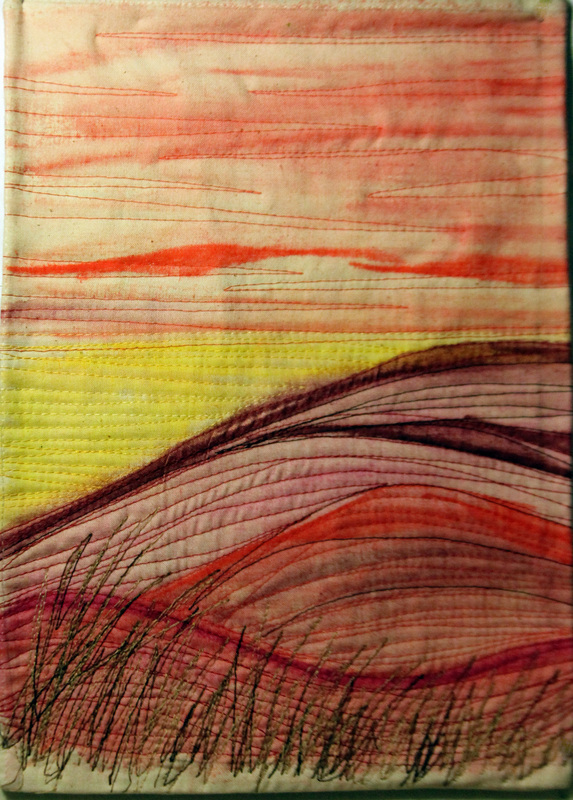 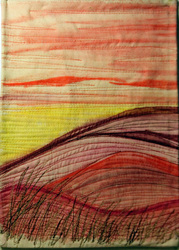 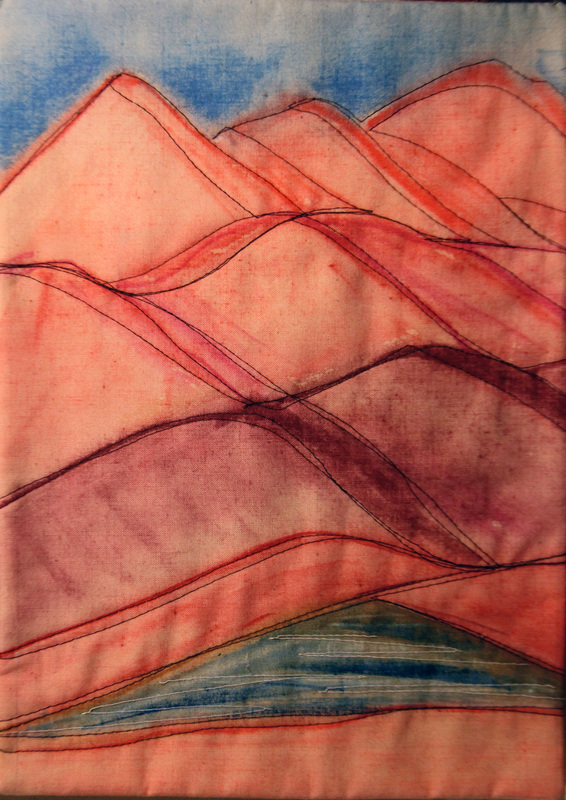 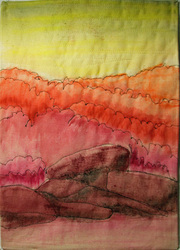 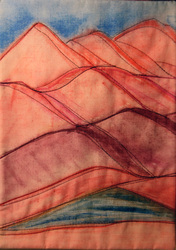 The first set were painted with Inktense sticks, wetted to dissolve the paint and then machine stitched. 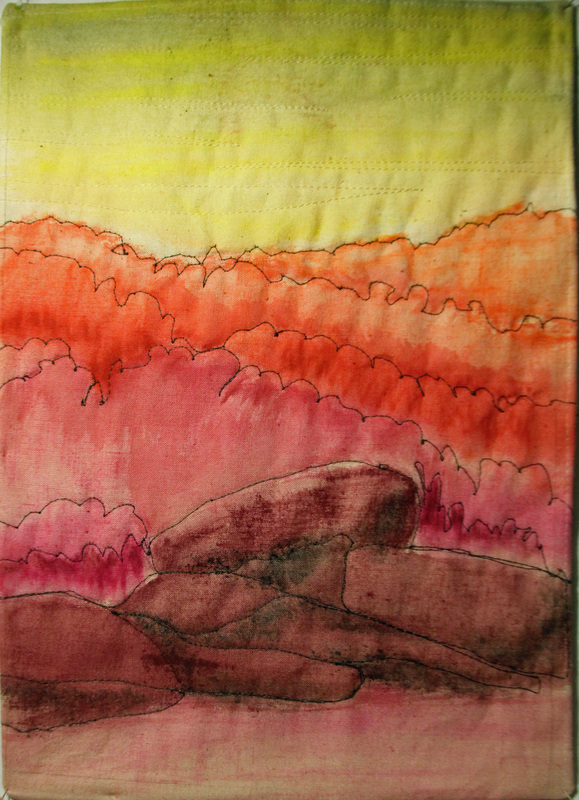 I think they look rather crude, perhaps as it was my first attempt using this technique. 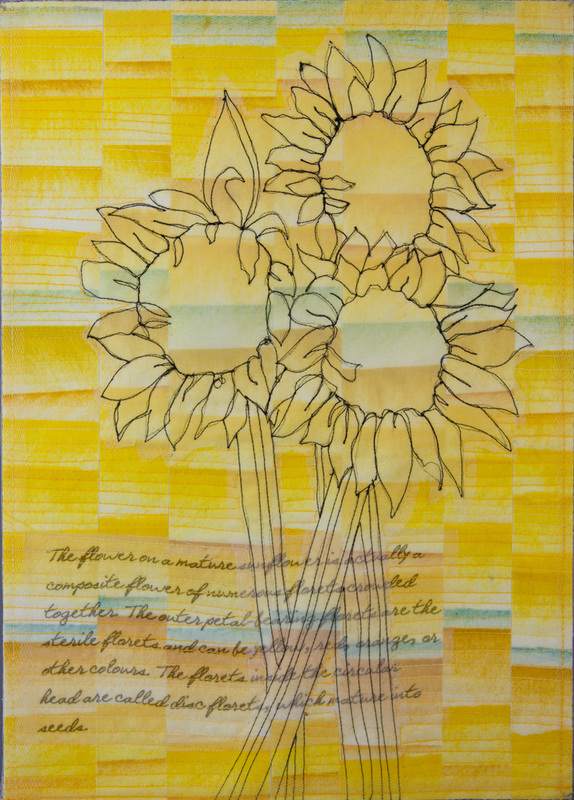 The second set was based on my drawings of sunflowers, which I printed onto silk organza, with added text, onto a background of fabric painted with oil sticks and fused down. 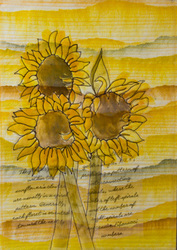 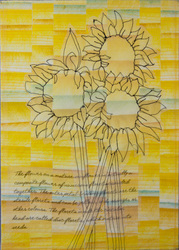 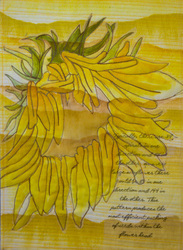 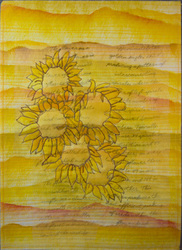 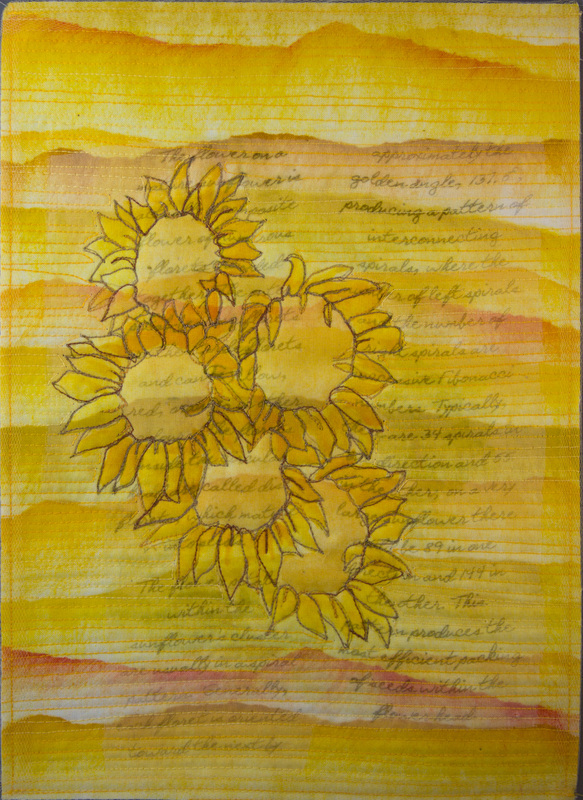 The sunflowers were then highlighted with free-machine stitching and the backgrounds quilted.. The third and final set was inspired by photographs taken at Margate, where an obliging seagull posed with patience and curiosity. 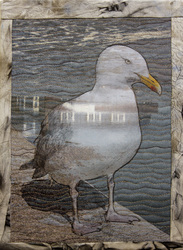 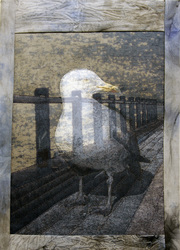 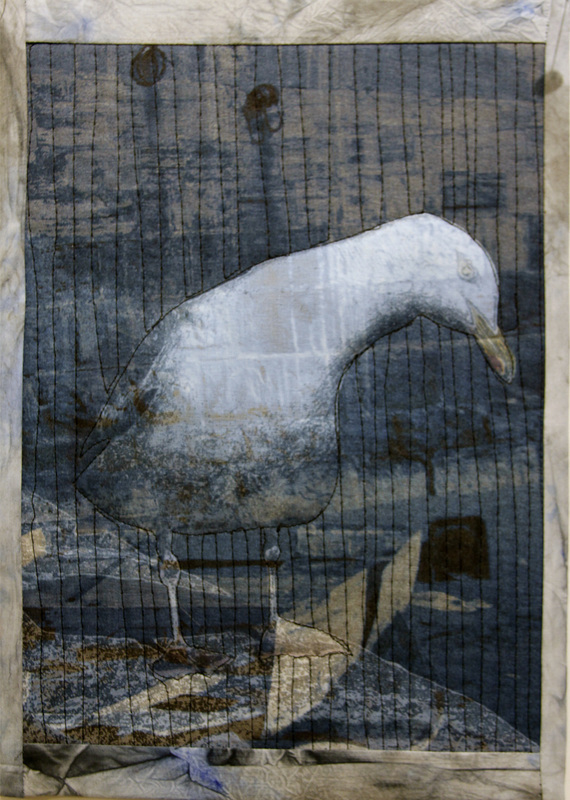 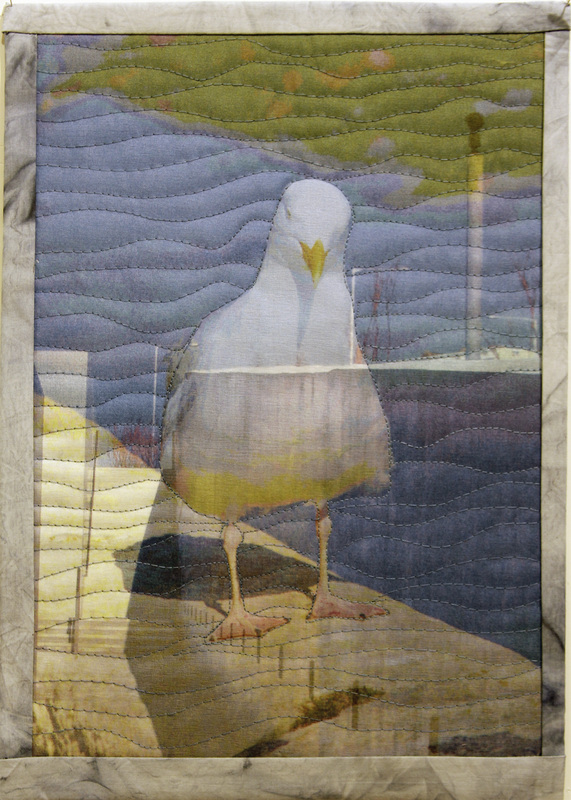 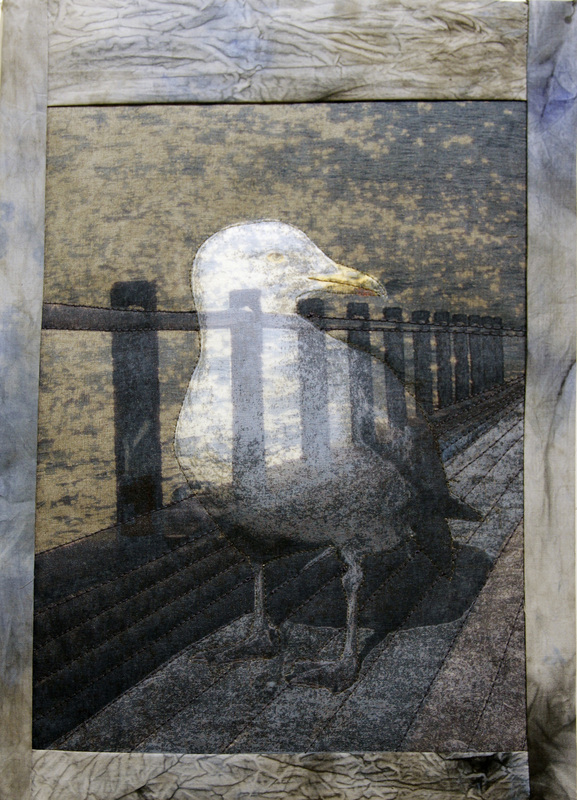 I manipulated the images digitally and printed the backgrounds onto cotton, the seagulls on silk organza, machine stitched and bound with hand-dyed fabrics.